We are instrumental in offering efficient Commercial Building Designing services that can be availed as per the economic convenience of our clients. The offered services involve the designing of business houses, corporate offices, malls, institutions, commercial complexes and multinational companies. While rendering services, we take care of both the architectural and designing aspect of the buildings so that we complete satisfy our customers. We also give emphasis on providing fire alarm, security systems and energy conservation systems for our esteemed patrons. Backed by an enriching experience of 26 years, we have been recognized as one of the coveted firms engaged in providing Architectural Services to our patrons. In addition, we are also engaged in undertaking Industrial and Commercial Projects on a turnkey basis. Our services include Architect Solutions, Architectural Services, Commercial Building Design, Architectural Service, 3D Modeling Services and Project Execution Services. These services are efficiently rendered by our diligent architects using sophisticated tools & machines and advanced methodologies. Further, these cater to the requirements of our customers from varied restaurants, hotels, retail shops, residential apartments, commercial centers, multiplexes and corporate offices. After the rigorous study of structural feasibility and site analysis, our services are executed by our experienced experts. In order to appease the preferences of our clients, our professionals conceptualized innovative designs and ideas. While executing the projects, all the law and regulations are strictly followed. We execute our services after thorough understanding of the exact requirements of our customers. Moreover, owing to our vast industrial experience and knowledge, we are able to offer customized facilities for these services. Our transparent dealings, market goodwill and ethical business practices have the privilege in acquiring a crucial project like M/S Mather + Platt Pumps Ltd. Kolhapur, Precision Seals Manufacturing Ltd. Chakan, Pune, Coca-Cola B.Q.L. Pirangut, Pune, Gudel India Pv. 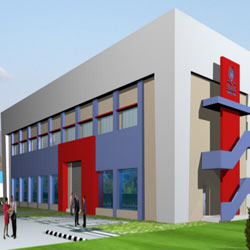 Ltd. Kasarmboli, Pune, Jabil Circuit India Pvt. Ltd. Ranjangaon and Kalyani Forge Ltd. Sanaswadi.